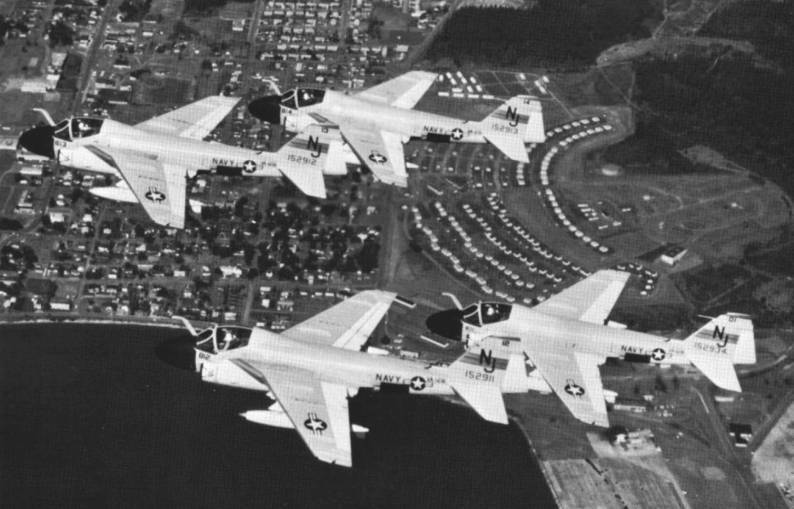 A-6E Intruders (VA-128) - 1980 ? 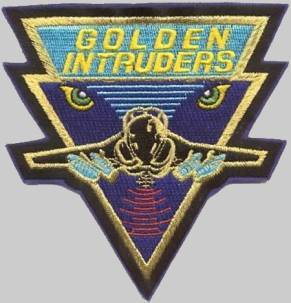 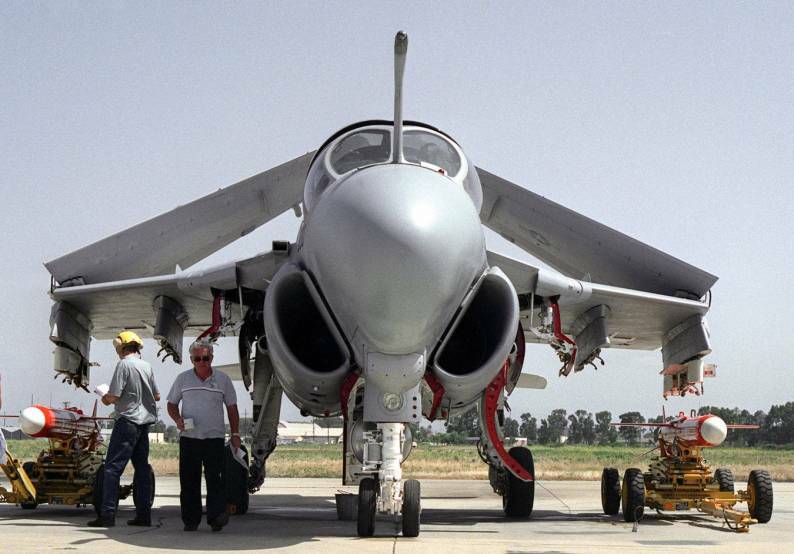 1 Sep 1967: The squadron was assigned the mission of training combat ready flight crews and replacement maintenance personnel for the A-6 Intruder. 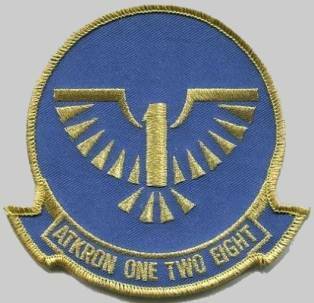 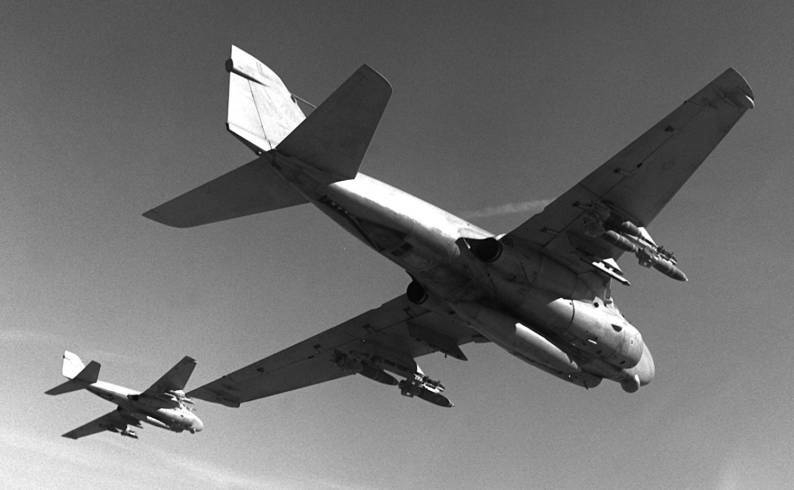 Oct 1968: Two U.S. Air Force exchange officers reported aboard for training in the A-6A. 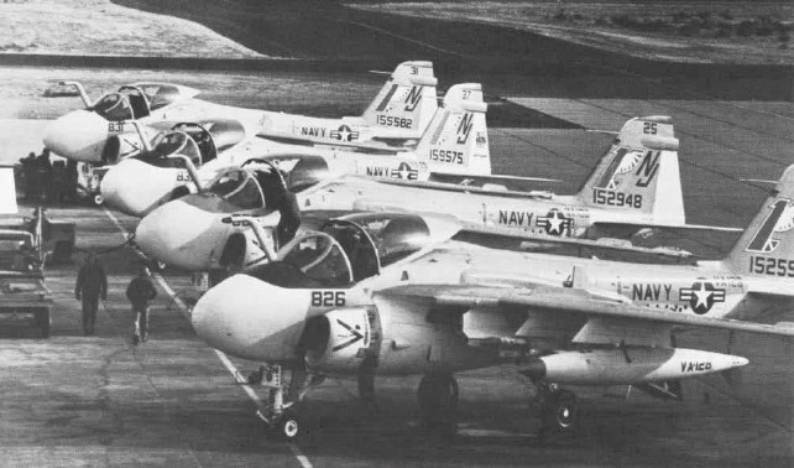 Jun 1973: A Naval Officer from the Federal Republic of Germany reported aboard for training in the A-6. 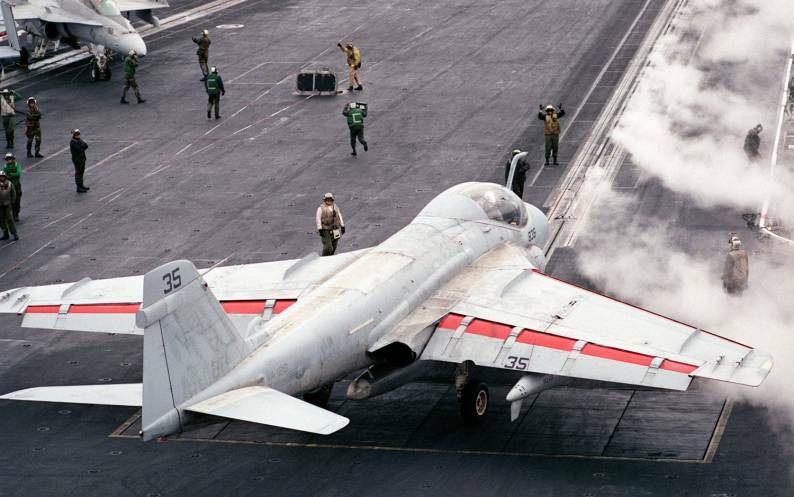 Mar–May 1980: The squadron’s TC-4C, Target Recognition Attack Multisensor (TRAM) equipped aircraft, was used to monitor the hot spots on Mount St. Helens in Washington state prior to a major eruption on 18 May. 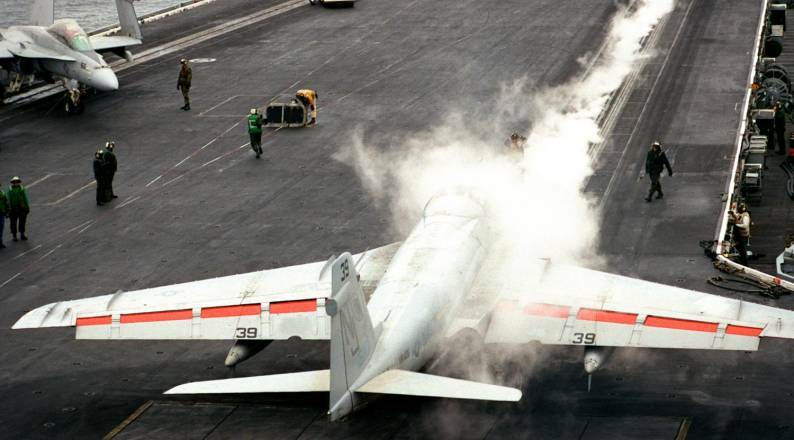 The squadron’s work with U.S. Geological Survey authorities provided the forewarning necessary to save hundreds of lives since the mountain was a popular place for campers, boaters and mountain climbers. 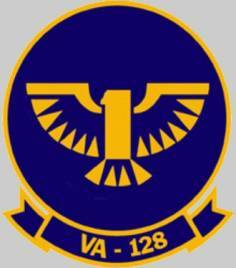 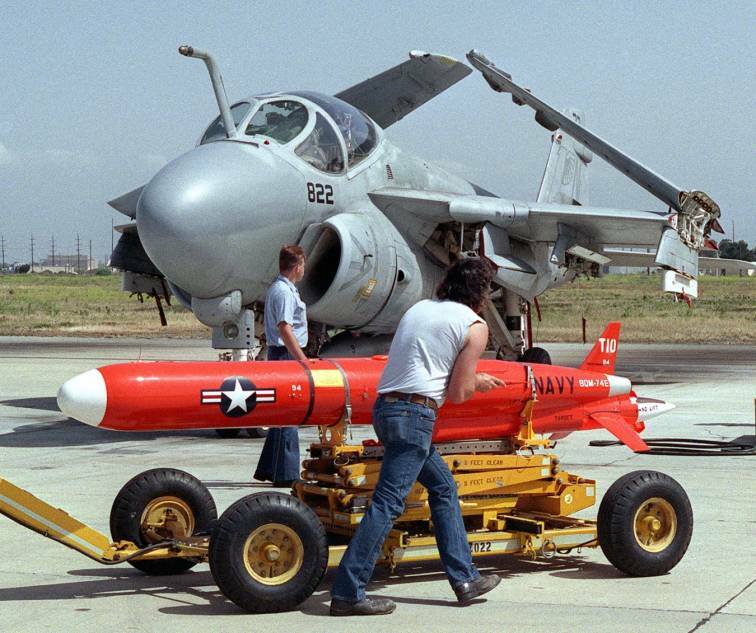 Oct 1986: The squadron assumed the additional duty of training all U.S. Marine Corps personnel on the A-6 following the disestablishment of VMAT(AW)-202. 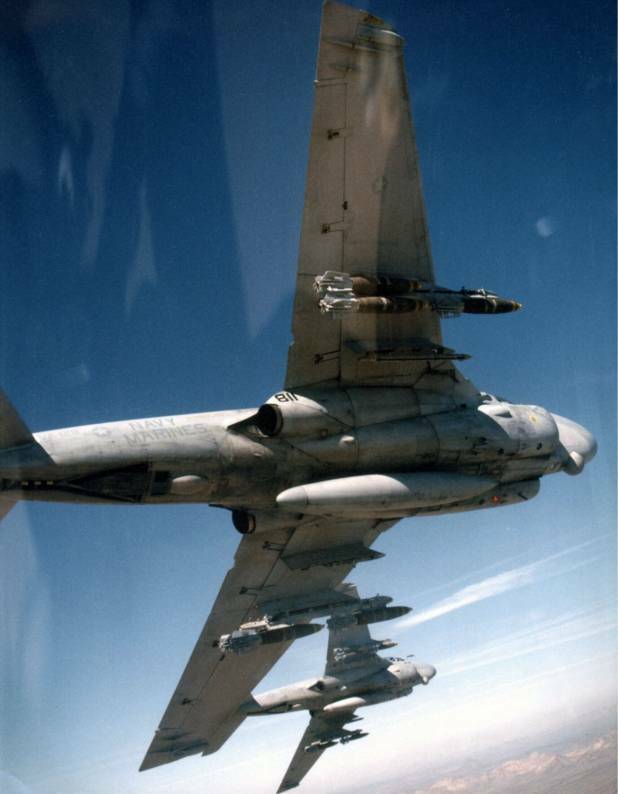 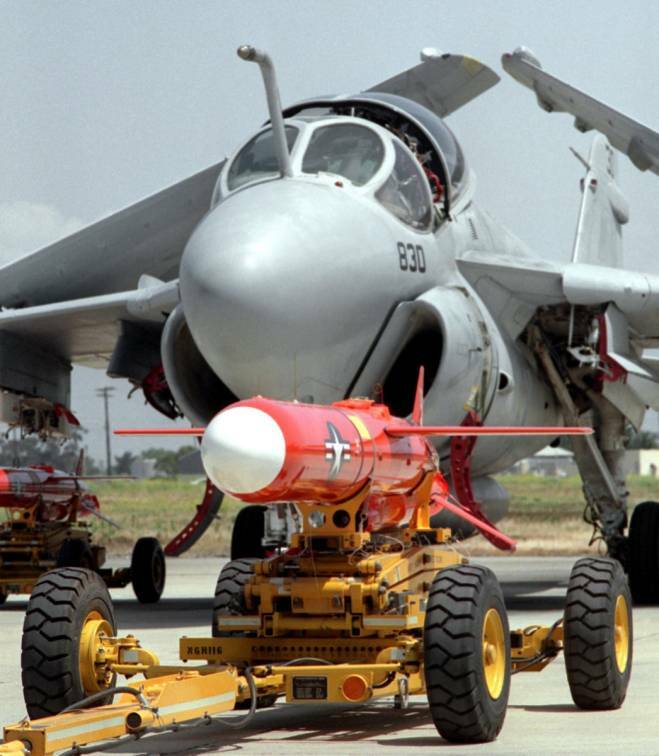 1990: The squadron received the first composite wing A-6E on the West Coast.